Very nice picture - loved how it turned out. I have put it on a canvas and am displaying it in our guest bathroom. Fun to do!! Actually, I haven't started this piece, since I have two others to work on. I am assuming this one will be just as awesome as my others, so I gave it a premature 5 star rating. The Worlds Away kit is one if the most beautiful I have seen. The diamonds are absolutely beautiful and the canvas is very clear. It is a joy to work on! 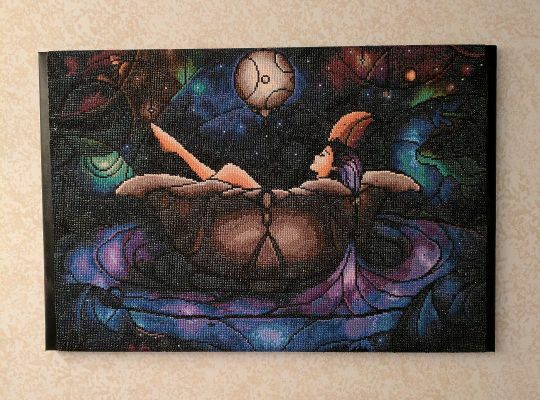 This canvas is amazing! I am obsessed and have been working on it everyday and it’s turning out perfect! Vivid colors, quality canvas ,diamond painter dream. Top of the line.